Wireless gaming mouse are getting better and better as technology continues to innovate, you can now buy a wireless gaming mouse that can perform as well as their wired counterpart, but that's on the higher end of the spectrum, expensive and from well-known brands such as Razer, Logitech, and Corsair. But how about the other side? 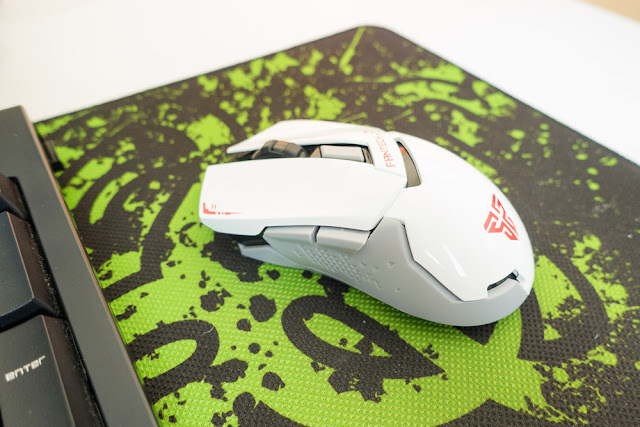 How about a cheap wireless gaming mouse like the Fantech Leblanc WG8? When I was browsing for a cheap wireless gaming mouse on LAZADA I stumble upon this mouse, It caught my attention mainly because of the design and color and that the price is super cheap at just around 300+ pesos. However, I wasn't able to find any legit review about this around the web, maybe because people don't even bother making reviews about these super cheap gaming peripherals. But not me and this blog, we are committed to giving you guys quality reviews even on a super cheap product like this. 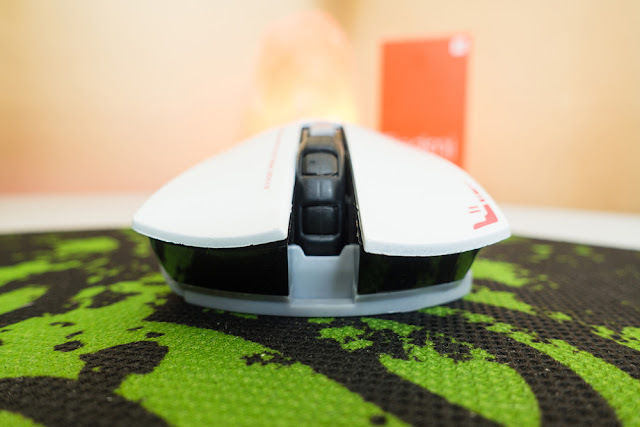 Now, when it comes to my first impressions on this mouse, If we're just going to talk about the looks, this one's got that "gaming" look to it for sure with the combination of sharp edges and polygonal design. When it comes to comfort, it's close to an ambidextrous design except for the forward and back buttons, that are obviously for right-handed users. The construction is almost completely made of plastic with rough edges on some part as you can see below in front of the mouse. Luckily, it doesn't have any effect on the experience as you will certainly not touch those parts during actual usage. One thing that I don't like about this mouse with regards to comfort, is the smooth finish on it. I would prefer a rubberized or a much lesser slippery finish. It's not a complete deal breaker though and it might be just my personal preference. It has a dedicated DPI button which is very appreciated and the scroll wheel seems to be working just fine, except that it's kinda wobbly. 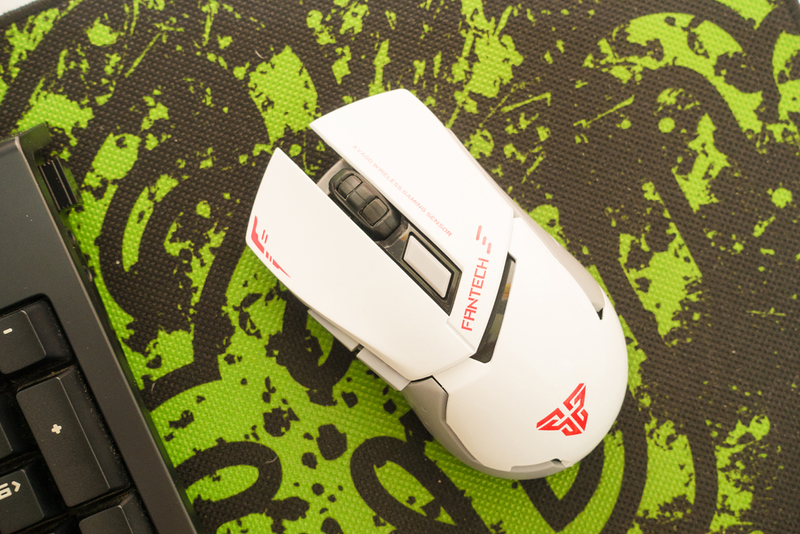 When it comes to performance, the Fantech Leblanc WG8 Wireless Gaming Mouse uses an optical sensor instead of a laser sensor, so make sure you use a proper mouse pad for better accuracy. For the first few times that I've used this for gaming, I haven't had any issues with it especially on RPG games like Dota 2 where you rely heavier on the keyboard side of things for casting skills, toggling shortcuts and whatnot. I haven't tested this in-depth for FPS games though except for a few games on CS:Go so that will be on the full review. Using this however for productivity is pretty decent, I sometimes use this for video editing on the go and I haven't had any problems with it. 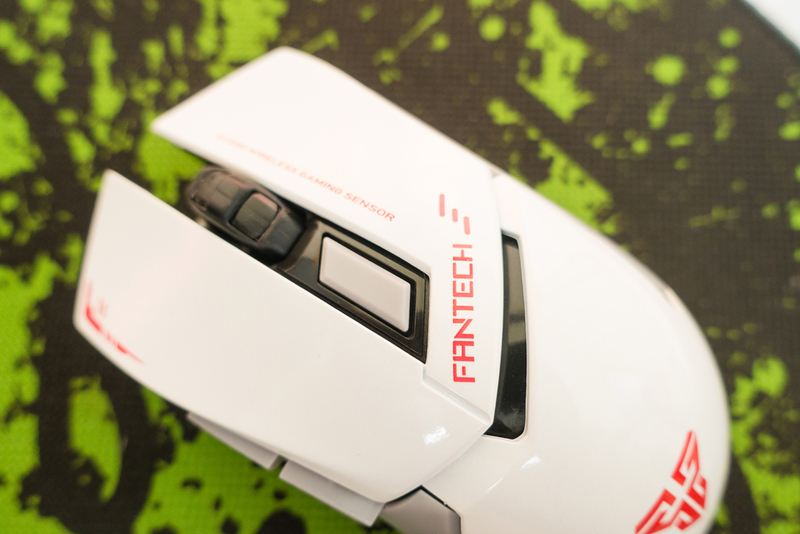 That's it guys for my first impressions of the Fantech Leblanc WG8 Wireless Gaming Mouse. 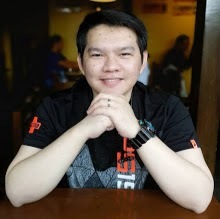 Watch out for my full review where I test its accuracy and performance on FPS games such as CS:Go and see if it can perform decent enough for a casual gamer like me. 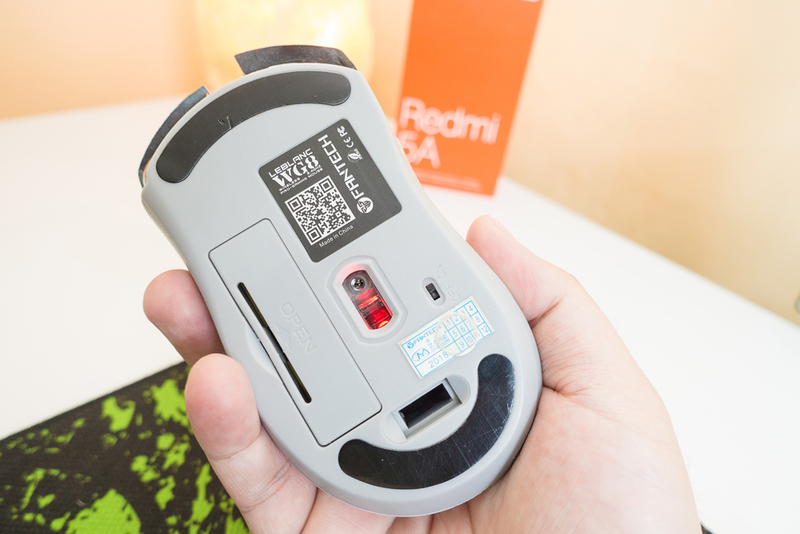 I also want to know if this mouse can be used for something like a small gaming computer shop as that's what I feel the target market for this product is. Thank you for your time reading this article, if you're interested in the Full Review, make sure to subscribe to my channel by hitting the button below as I'm going to make a video review version when the Full Review comes out.